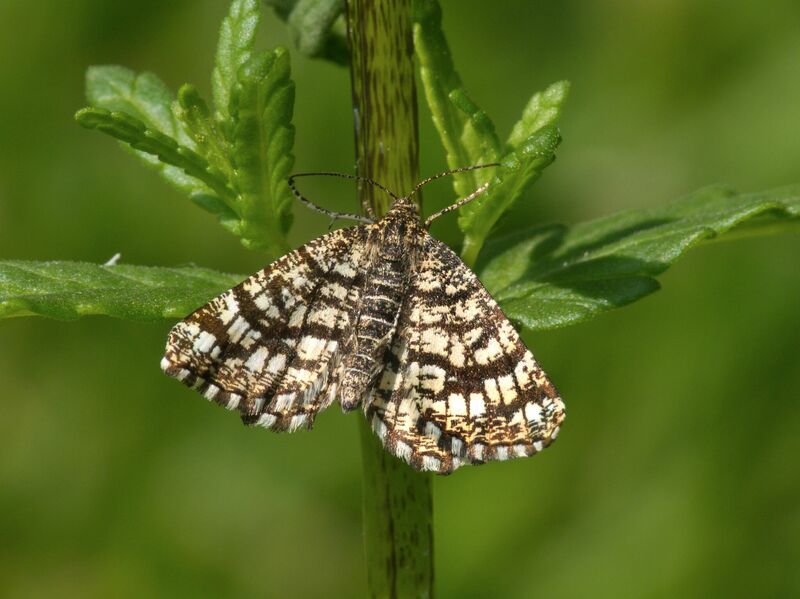 As the name suggests it has a lattice of brown lines on a paler brown or white background. It often settles with its wings half raised like a butterfly. May/June and July to September. Most frequently near lucerne crops but also gardens, open land, acid heathland.